. This cat plays a mean guitar, and while some members of his species merely expect to be treated like rock stars, Pete really is one. 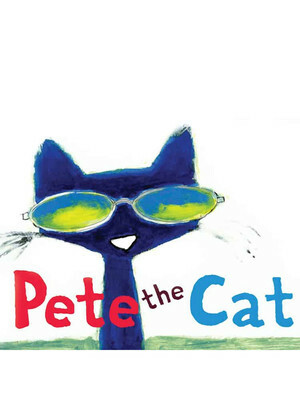 Why See Pete The Cat? America was first introduced to the world's grooviest, most laid back blue cat that ever did exist in Pete the Cat: I Love My White Shoes, the first in a series of Kerry and James Dean's popular children's books. 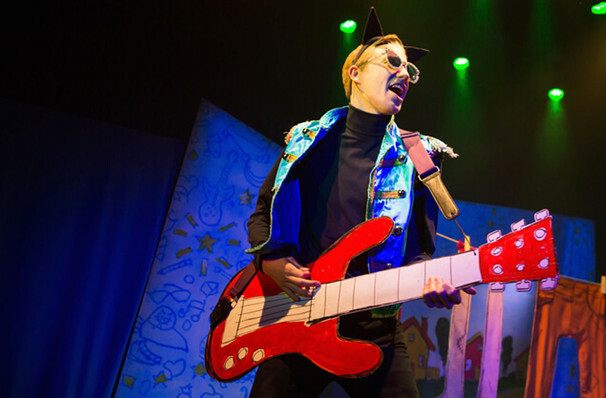 Written in a song format, it wasn't long before the beloved character leapt from the page and onto the stage to make little audience members purr with music-filled song and dance numbers and hilarious, lesson-filled adventures. Presented by Theatreworks USA, the fabulous feline casts his magical, family-friendly spell on tour across the USA this spring and summer! Not one to always follow the rules, Pete finds himself in hot water when the cat-catcher discovers him grooving and rocking out way past his bedtime. Sent to live with the Biddles in the hope that the family can teach him some manners, Pete winds up teaching them the joy of good old rock and roll, although his jumps and jives are lost on the youngest family member Jimmy, an over-achieving and over organized second grader. Too young to be so stressed, Jimmy excels in every subject except art, but luckily Pete the Cat is there to teach him a little something about creativity, inspiration and friendship. Sound good to you? Share this page on social media and let your friends know about Pete The Cat at Thrasher-Horne Center for the Arts. Please note: The term Thrasher-Horne Center for the Arts and/or Pete The Cat as well as all associated graphics, logos, and/or other trademarks, tradenames or copyrights are the property of the Thrasher-Horne Center for the Arts and/or Pete The Cat and are used herein for factual descriptive purposes only. We are in no way associated with or authorized by the Thrasher-Horne Center for the Arts and/or Pete The Cat and neither that entity nor any of its affiliates have licensed or endorsed us to sell tickets, goods and or services in conjunction with their events.